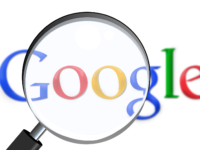 Post Tagged with: "right to be forgotten"
Does Canadian Privacy Law Apply to Google Search? Last week, the Privacy Commissioner of Canada filed a reference with the federal court in a case that was billed as settling the “right to be forgotten” issue. Yet a careful read of the application reveals that the case isn’t about the right to be forgotten. Rather, it involves a far more basic issue: is Google’s search engine service subject to PIPEDA, Canada’s private sector privacy law? The case arises due to a right-to-be-forgotten complaint (a complainant wants search results referencing news articles they say are outdated, inaccurate, and disclose sensitive information removed from the Google search index), but the court is not being asked whether the current law includes a right-to-be-forgotten. Instead, the very application of Canadian privacy law to Google search is at stake. 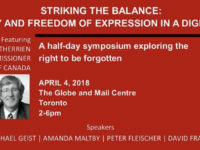 The Canadian Journalism Foundation and CIPPIC partnered on a terrific event yesterday on privacy and freedom of expression in the digital age. The event, held at the Globe and Mail Centre in Toronto, focused on the right to be forgotten. It included conversations with Privacy Commissioner of Canada Daniel Therrien, Google’s Peter Fleischer, and a debate between David Fraser and Keith Rose. I was featured on the final panel in a conversation with the Globe and Mail’s Susan Krashinsky Robertson. The discussion, embedded below, focused on a wide range of privacy issues, including the need to update PIPEDA, pressure from the EU to improve Canada’s privacy law, how to foster meaningful consent, and the right to be forgotten. Canada’s private sector privacy law was first introduced 20 years ago, coinciding with the founding of Google and predating Facebook, the iPhone, and the myriad of smart devices that millions of Canadians now have in their homes. Two decades is a long time in the world of technology and privacy and it shows. There has been modest tinkering with the Canadian rules over the years, but my Globe and Mail opinion piece notes the law is struggling to remain relevant in a digital age when our personal information becomes increasingly valuable and our consent models are little more than a legal fiction. The House of Commons Standing Committee on Access to Information, Ethics and Privacy last week released the results of a comprehensive study into Canadian privacy law. The report, which features 19 recommendations, provides Innovation, Science and Economic Development Minister Navdeep Bains with a road map for future reforms (I appeared before the committee as one of 68 witnesses from across the policy spectrum). 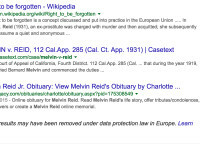 The right to be forgotten, which opens the door to public requests for the removal of search results that are “inadequate, irrelevant or no longer relevant”, has been among the world’s most controversial privacy issues since it was first established in Europe in 2014. My Globe and Mail op-ed notes that the new right responds to concerns with potential reputational harms from inaccurate or misleading information online, but faces the challenge of balancing privacy protections with the benefits of the Internet for access to information and freedom of expression. The Privacy Commissioner of Canada waded into the debate on Friday with a new draft report concluding that Canadian privacy law can be interpreted to include a right to de-index search results with respect to a person’s name that are inaccurate, incomplete, or outdated. 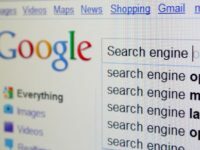 The report, which arises from a 2016 consultation on online reputation, sets the stage for potential de-indexing requests in Canada and complaints to the Privacy Commissioner should search engines refuse to comply. 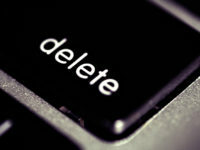 Did a Canadian Court Just Establish a New Right to be Forgotten? The European Union shook up the privacy world in 2014 with the creation of “the right to be forgotten“, creating a system that allows people to seek the removal of search results from Google that are “inadequate, irrelevant or no longer relevant.” The system does not result in the removal of the actual content, but rather makes it more difficult to find in light of the near-universal reliance on search engines to locate information online. Since the European decision, Google has received nearly 700,000 requests for the removal of links from its search database resulting in the evaluation of 1.8 million URLs. Moreover, privacy authorities in Europe – led by France’s national regulator – have adopted an aggressive approach on the right to be forgotten, ruling that the link removal should be applied on a global basis. My Globe and Mail op-ed notes that while the Canadian courts have grappled with the question of removing links from the Google search database (a key case on the issue is awaiting a decision from the Supreme Court of Canada), there has been little sense that Canada would establish its own right to be forgotten. That may have changed last week as the Federal Court of Canada issued a landmark ruling that paves the way for a Canadian version of the right to be forgotten that would allow courts to issue orders with the removal of Google search results on a global basis very much in mind.